During the exhibition Aluminium 2018 in Dusseldorf our stand was very busy. Many extruders and die makers visited it during these three days. Young QForm team was very happy to provide every visitor with the most up-to-date information about development of our simulation and die design software QForm-Extrusion and QExDD respectively. During short seminars arranged three times a day we presented new approaches to extrusion technology optimisation and speeding up the die design, saving material and reducing costs, quality improvement and final product properties control. Visit our booth 12J35 in Hall 12 where we present the latest development of QForm VX software for extrusion and aluminium forging applications. On 9-11 October 2018 at our booth 12J35 you may participate in interesting mini-seminars about simulation of aluminium profile extrusion. Particularly, problems of material properties prediction and aluminium profile extrusion process optimization will be discussed. ALUMINIUM 2016 exhibition takes place in Dusseldorf from November 29 to December 1. QForm Extrusion simulation software and recent developments in the field of numerical simulation of aluminium profile extrusion will be presented there. 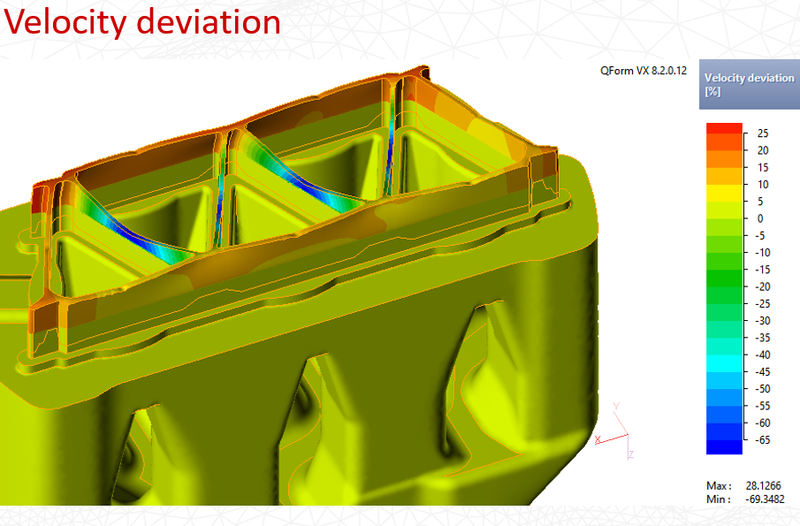 We invite you to meet at our booth 12J35 in Hall 12 where we would be glad todemonstrate recent achievement in simulation of profile extrusion as well as any other metal forming processes by QForm VX software. Lua coding in QForm VX Extrusion provides a unique opportunity for researches in the field of material science to develop new material models based on any kind of internal variables of any complexity and immediately implement them to any kind of metal forming, including extrusion processes. If you are developing your own material model, just write it as a program code using the simple and free programming language LUA (www.lua.org) and run it in QForm debugging environment to check how it works. At the beginning of September new release 8.1.3 of QForm VX has been built. It includes many new features and options that are listed in the document on this page. Even comparing to version 8.1.2 from July 2016 it has got some new ones. We recommend all the users who are on an annual license or have valid maintenance contract for permanent license to install the new version. Ask your local distributor for the link to download it. Remember that update of the license file will be required to start using it. QuantorForm Ltd. and Forge Technology Inc. will present QForm Extrusion simulation software at the 11th International Aluminum Extrusion Technology Seminar & Exposition on May 2-6, 2016 in Chicago, Illinois USA. Students of metal forming department are invited to take part in the International Students Olympiad in Hot Bulk Forging Technologies, which will take place on April 22, 2016 at universities around the world. Our new version of QForm-Extrusion Die Designer (QExDD) includes a feature for automated creation of advanced relief in accordance to the specific profile geometry. A solid bearings mode has also been added that allows the creation bearings with variable height values in solid models.